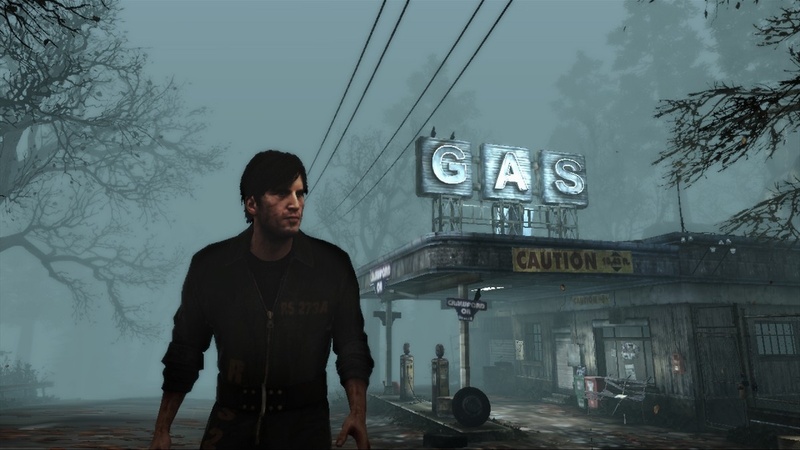 A disappointing entry in the Silent Hill series, Downpour’s flaws stem from a few major design decisions. 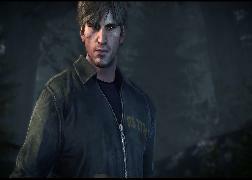 Silent Hill Downpour is a disappointing game. It is clearly the worst Silent Hill game to date, and it was justly panned by the press. But what the press can’t agree on is what exactly is wrong with it. Some reviewers like the combat system, others hate it. Some reviewers abhorred the story, others found it interesting. The problems with the game are many, but there’s no consensus on which are the worst. It’s not that Downpour is half-assed; it is clearly the product of a huge amount of effort. You can tell by looking at it; the art and story and design are deep enough that somebody must have thought about this game pretty hard. 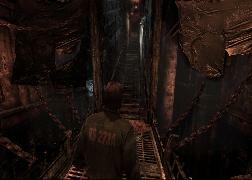 The developers clearly know the series; it’s not an exaggeration to describe the game as an amalgamation of previous Silent Hill mechanics and scenes. While there are bugs and other execution problems, it’s not glitches or poor programming that ruins the game. Rather, this is one of those rare games that takes a gamble on a Big Idea, a wholly different approach, and fails miserably. I suspect that the disagreement about which aspects of Downpour are rotten stem from a macro-level design problem, a single decision that caused ripple effects throughout the design of the game. Depending on where you look, you might see a ripple and identify it as a problem. But the real problem is larger, more basic, and its influence is pervasive. Identifying this underlying flaw can be difficult. It’s hard to separate the symptoms of the disease from the affliction itself. I’d like to work backwards from some mundane execution issues until we discover Silent Hill Downpour’s core problem, the root of all of its other issues. Let us treat the shape of this game is a tree so that we can start at one of the leafs and attempt to make our way back to the trunk. To that end, let’s start with a rather simple–but frustrating–user interface problem. One of the most annoying things about Silent Hill Downpour is that a “Press A to Pick Up” icon appears every few steps. Murphy, the protagonist, can barely cross the street without being prompted to pick something up. Sometimes he’s discovered an important item, but usually it’s a weapon which will be swapped for Murphy’s current weapon if he decides to collect it. The problem is that the same prompt is used for both items and weapons, which destroys your ability to ransack the area for important items and clues. You can cover a space looking for items, but mostly you’ll only find weapons that you do not want; if you are carrying around a shotgun you’re not about to drop it for a brick. Can you imagine an Adventure-style game that is filled with useless junk which you must sift through to find the one important item? Worse, you can’t actually see what it is that the game wants you to pick up; you must spin the camera up and around until you locate a glowing item on the ground. You do this every few feet. Take a few steps, look at the item pickup. Take a few more steps. Look at the item pickup. It is infuriating. Let’s move a level up. Why are there crappy weapons strewn all over the ground? The answer is that weapons in Silent Hill Downpour degrade over time and will eventually break. A broken weapon leaves you defenseless, and even if you run away you’ll need to find another weapon before you can progress. But weapons break based on the way the player uses them, and thus the developers can’t control when the weapon will fall apart. Their solution was simply to blanket the game in weapons, thereby solving the problem of becoming defenseless at arbitrary times but simultaneously making it very difficult to find non-weapon items. Another level up. Why do weapons break in the first place? Is it because they broke in Silent Hill: 0rigins? 0rigins also had weapons that would degrade, and left items around the world as a result. But 0rigins also allowed its protagonist to carry multiple items and swap between them quickly; it even had an indicator of how much more abuse a given weapon could take before breaking. 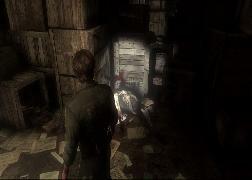 Thus the player can spam the collect button to ransack an area without fear of losing their current weapon. Downpour has none of these things: it limits weapons to one firearm and one other item, there is no durability indicator, and items can’t be stored in the inventory as a backup. If breakable weapons had just been lifted from 0rigins, it seems like they would have gone ahead and lifted the whole 0rigins system. No, items need to break for some other reason. We’re close to the trunk now. What would happen if weapons didn’t break? Well, you’d find the most powerful weapon (the fire axe, I think), and just carry that around through the whole game, thus rendering the entire weapon system moot. This was never a problem in earlier Silent Hill games because they were basically linear; the developers could easily schedule the release of new weapons to the player (not to mention new enemies) because they controlled the order in which items could be found. 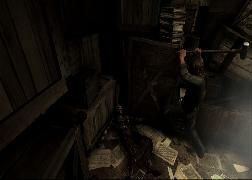 This way, previous games in the series used weapon pick-ups as a way to control the level of difficulty (and tension) across the length of the game. 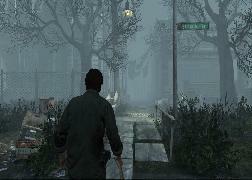 Downpour, on the other hand, is based on an open world design, where the player has much more freedom of movement than in previous games, and consequently weapons cannot be easily scheduled. This is it. 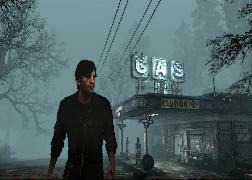 This is Downpour’s Big Idea: it is the first Silent Hill game to feature a large, open world for its town. Most other Silent Hill games have featured large outdoor areas, but they’ve never been really open; they’ve always been walled off at the edges so that the player is lead along a very specific path. The open world is a significant deviation from the series norm, and it is the core problem with the game’s design. We’ve reached the trunk of the design, the root of the game’s decision tree. From here we can see other branches leading to other problems caused by the decision to employ an open world. Let’s follow one down. I believe that what the developers at Vatra wanted was to make the entire town of Silent Hill a large recursive unlocking space, where the player would criss-cross the map many times, collecting items and solving puzzles on the way, all while progressively widening the available space. Much like the Resident Evil mansion, you might need an item from one side of town to solve a puzzle on the other side of town. Only, the space is much, much larger than the compact Umbrella stronghold. Though you have a map, borders of the space must be traced manually because there are blockades and abysses in the way, not to mention back alleys and side-street shortcuts. One level down. The size of Silent Hill required the developer to reuse art heavily–it’s just too big to be completely unique. The houses in Downpour’s Silent Hill all look very similar, and some of them even share identical layouts with identical rooms. This isn’t because the developers were lazy (no shipping game was made by lazy developers), but rather the result of a trade-off between the size of the town and the cost of creating high-end art. Consequently Silent Hill is really easy to get lost in; there are not enough identifiable landmarks to get a sense of whether or not you’ve visited this street before (not to mention the ever-present layer of fog that covers the landscape). While each room in Resident Evil’s mansion has a different color scheme, a unique camera perspective, and an identifiable theme, the streets of Downpour’s Silent Hill all look the same. Another level down. Herein lies a major problem for the designers. If they want the player to criss-cross the landscape, but the landscape is very large and lacks variety, they run the risk of frustrating the player with item quests. Say you need a particular key from one side of town to unlock a particular door on the other side of town. In classic Silent Hill design, this door represents the next step in the story progression–you can’t move forward until you open it. But the key could be anywhere! Do you really want to spend hours running up and down similar-looking streets, trying to find something–anything–that you might have missed before, hoping that it will lead you to the key so that you can progress? No, of course you don’t–nobody does. That sort of item search-a-thon has destroyed games with much smaller problem spaces. In a game like Downpour, where the problem space is huge, it could be deadly. We’re approaching the end of this branch. The designers of must have struggled with this problem, and the solution they settled on is two-fold. First, they made almost all of the item puzzles optional. If you explore the homes of Silent Hill you will run across puzzles, generally requiring you to go somewhere or collect items, often by backtracking, which you can choose to complete or ignore. Secondly, the designers placed all of the required missions upon a linear path through the town. If you ignore the side missions and just progress towards the next story point you can complete the game without ever backtracking, thus saving you from potential search-a-thon frustration. On paper this seems like a great solution: players do not need to solve every puzzle in order to progress (resolving the key-in-the-haystack problem), and the player himself can regulate how quickly he progresses through the game. People who b-line for the end will have a linear experience similar to classic Silent Hill, while those who embrace the open world are given a bunch of secondary goals for which they must solve interesting traversal challenges. High-five, problem solved! The leaf problem. In practice the approach does not work as well as I assume the designers had hoped it would. Here the shadow of a single design decision–the idea to make Silent Hill an open world–looms over the entire game, affecting the very core of it in ways that probably were not obvious at the onset of development. The result of the optional side-missions, at least for me, was a complete lack of agency. The game keeps telling us that Murphy is just trying to get out of Silent Hill, trying to escape as quickly as possible. But then it expects us to, in the middle of our flight from danger and his past, drop everything and search the town for some paintings? He should put his escape on hiatus while he scatters the ashes of some stranger somewhere in order to get an item that he already has? Downpour also shies away from setting explicit destinations, so a lot of the time in Silent Hill is spent running around aimlessly, taking turns at random, hoping that something new to do will show up. And if we solve the puzzles, then what? There doesn’t seem to be any gameplay benefit to the side-quests; any weapons handed out will break eventually anyway, and other than an achievement and possibly a story anecdote, there’s no reward offered for traversing Silent Hill more than once. Even worse, at the end of the game the character is pulled out of the town abruptly and never has a chance to go back and complete missions that are half-solved. I ended the game with an inventory full of worthless items that I spent a lot of time discovering but never actually put to any use. The idea that Silent Hill itself should be an open, explorable world must have sounded good at first. It must have seemed like a great way to differentiate the game from the rest of the series without straying too far from the core elements of Silent Hill. It is a lofty goal, a genuine Big Idea. But I think it hurts the game deeply, and that its aftershocks retard almost every other major system in the game. It is the trunk of the game, but its core is diseased and the sickness reaches all the way out to the leafs of the design. 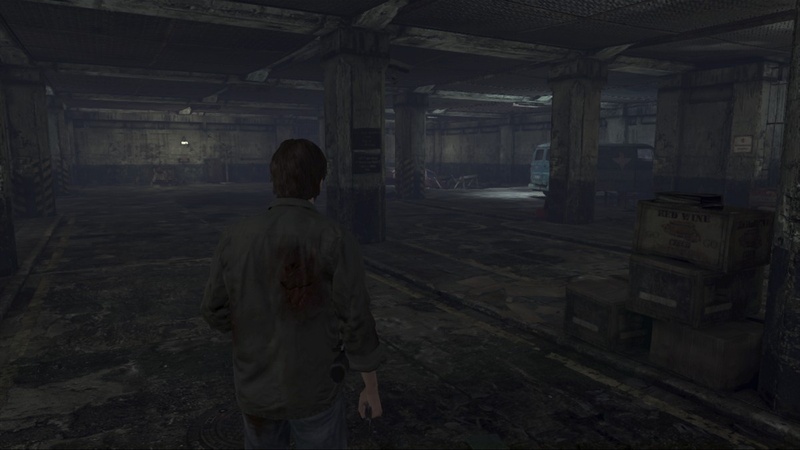 The open world is, in my mind, Silent Hill Downpour’s most significant design failure. But the open world is just a gameplay system, and Silent Hill games are more than just systems. The series was not made famous by its level design or combat system or inventory screen. It was made famous by its narrative, its characters, and its emotional affect. 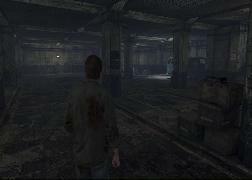 It’s the content of Silent Hill games, rather than the core mechanics, that keep the audience interested. Though we may spend most of our time climbing the tree, our real goal is to reach a vantage point from which we can observe the surrounding landscape. We can, if we choose, write off all of the mechanical problems discussed so far as unhappy side-effects of the open world design. Sure, there are annoying flaws and bugs to be found in the nuts and bolts of the game, but it is not unplayable. Perhaps this is one of those diamond-in-the-rough games, and if we look passed its dreary gameplay we might find a compelling narrative lurking. Let us, then, turn our attention to the surrounding landscape. The ground is dry and spotted with weeds. The key to any successful narrative is pacing. 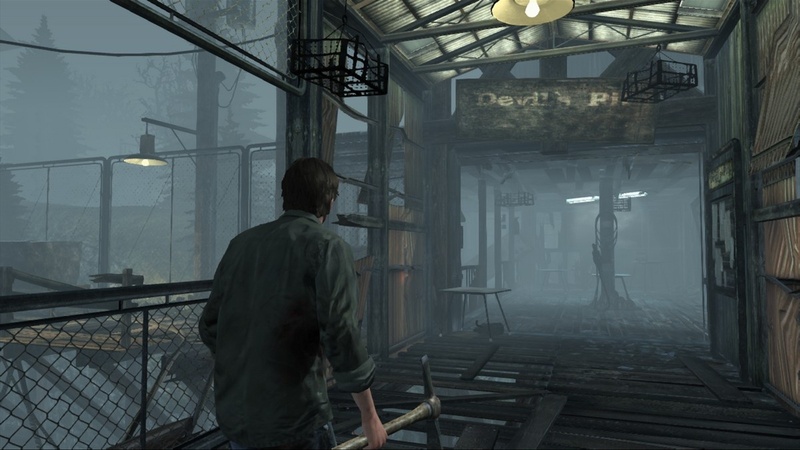 Silent Hill Downpour certainly looks like a Silent Hill game, but it does not feel like one. There is a serious lack of cohesion in the pacing of the game, the structure of the story, and even the characters it involves. There are visual and narrative motifs that are painstakingly introduced and then apparently forgotten. Questions are raised and then discarded. Game mechanics are introduced, taught to the player, and then never once used again. The nozzle controlling the flow of the story only seems to have two settings: information overload or deathly silence. Bits of trash are scattered everywhere. Here’s an example. The first two or three hours of Silent Hill Downpour play completely differently than the rest of the game. There are mechanics introduced (such as a yes/no question system with character morality implications) that are never revisited. The game spends quite a bit of time introducing crows as a foreshadowing motif, only to then forget them completely. There’s an otherworld transition involving fire that is replicated once more and then never used again. A ledge-grab sequence in the second hour is not used again until the very end of the game. Murphy spends some significant time in a cave with his lighter (rarely used thereafter) reading about its history (which has no subsequent bearing on anything), and fighting a monster type that we never really encounter again. The game teaches you how to throw weapons, a move deemed so valuable that the right trigger is dedicated to it, and this is a move you will perform once for the tutorial and then never again for the length of the game (except by accident, when you discard your weapon in the heat of battle and die as a result). Downpour does this over and over again, although the worst offenses occur in the opening scenes. It’s as if these first segments were developed independently of the rest of the game–not only does it not feel like a Silent Hill game, it doesn’t feel like the rest of Silent Hill Downpour. The road runs right off a cliff. Downpour’s most damning failure, I think, is the pacing. Since its inception the Silent Hill series has operated on a consistent rhythm. There’s a descent into the fog world, followed by some time in an indoor section that builds tension up to a breaking point. Just as the tempo reaches its crescendo the fog world is replaced by the otherworld and the level of tension is suddenly doubled. 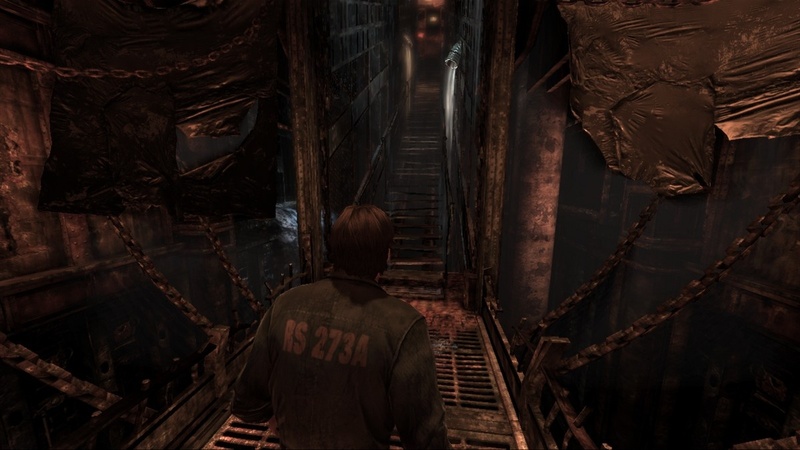 Rather than rising and falling, Silent Hill’s otherworld transition cranks the tempo up to maximum and then holds it there. The player is put under sustained stress as he traverses the otherworld until finally he is released back into the fog world, more dangerous now than before but a welcome respite from the oppression of the otherworld. 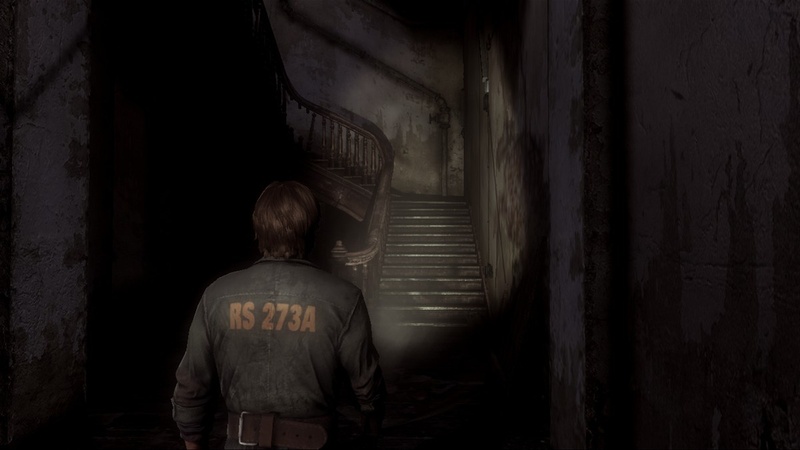 Recent Silent Hill games have tweaked the formula slightly, but they have all maintained a rhythm to the progression. Beats in the narrative are followed by beats in the gameplay. The pattern of gradual increase of stress, followed by a long, constant stress, followed by release and relief has been used in every Silent Hill game to date. A thick haze blankets the landscape. For all the bits of pervious Silent Hill games Downpour attempts to copy, it completely fails to reproduce the rhythm that makes the series feel familiar. Part of the problem is the open world, as the duration spent in that area can’t be easily controlled by the developers and thus it’s never clear exactly when the next story point is coming. 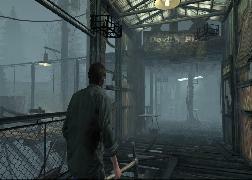 Downpour does periodically route the player into an extended indoor area (a library, a church, etc), and these areas are where the game is the strongest. And the game has a few startling otherworld transitions as well (such as the Hansel and Gretel sequence). But for the most part, the otherworld transitions happen at random times, often in the middle of mundane, tension-free play. The first transition in the game happens much earlier than any other Silent Hill game to date, at least as best as I can recall: we’re thrown into the otherworld in the first 30 minutes, long before the game has had a chance to really get its hooks in us and ratchet up the tension. Then the otherworld vanishes for several hours, only to return after a tension-free cutscene. The timing is completely inconsistent; there are no discernible beats in the narrative and the transition points feel arbitrary. The otherworld often involves a running sequence inspired by Shattered Memories (with shades of the red fog section of Silent Hill 3) and is initially a high-tension experience. But as with Shattered Memories, these sections lose their power when they become more difficult. Running through a maze is not very fun, and if you die and restart it is much less fun (and much less tension-inducing) the second (or third, or fifteenth) time around. After restarting a few times you’re thinking about the set of commands you’ll need to input to progress rather than the symbolic implications of the corridors Murphy passes through. 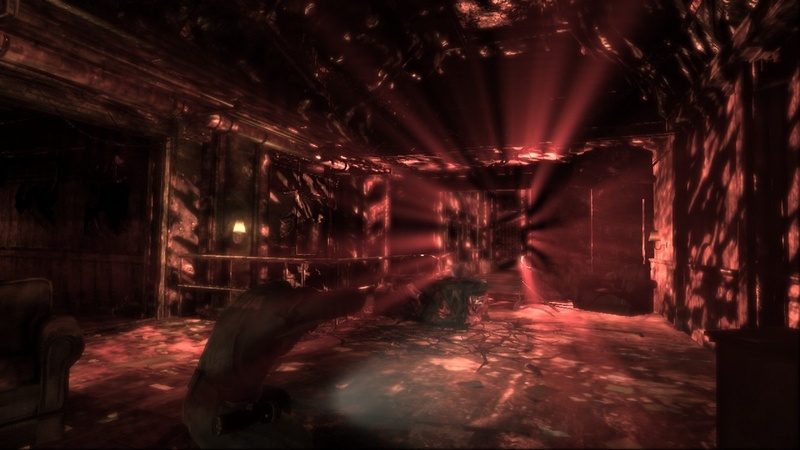 Occasionally the game will drop Murphy off in a non-chase otherworld area, but these are not very effective either; the oppressive feel of every other Silent Hill otherworld is completely missing from Downpour’s. The weak otherworld, made even more impotent by the lack of build-up before its introduction, makes Downpour feel like a random jumble of scenes connected by long, monotonous open world sequences. The tight tension spring, so deftly coiled and released in previous games, is absent. It sometimes feels more like a slinky. We climbed Silent Hill Downpour’s gnarled gameplay tree and are rewarded with a desolate scene; an inconsistent and untidy, even spatially suspect landscape. The angles do not align, the ground has giant fissures running through it. Neither the climb nor the view are rewarding; there is no glory in the challenge and no value in the prize. The careful gardening that made the early Silent Hill games so wonderful is nowhere to be found here. It’s like an alternate dimension Silent Hill game where things are really bad and nothing makes sense. Quite like a scene from Silent Hill itself, I guess.